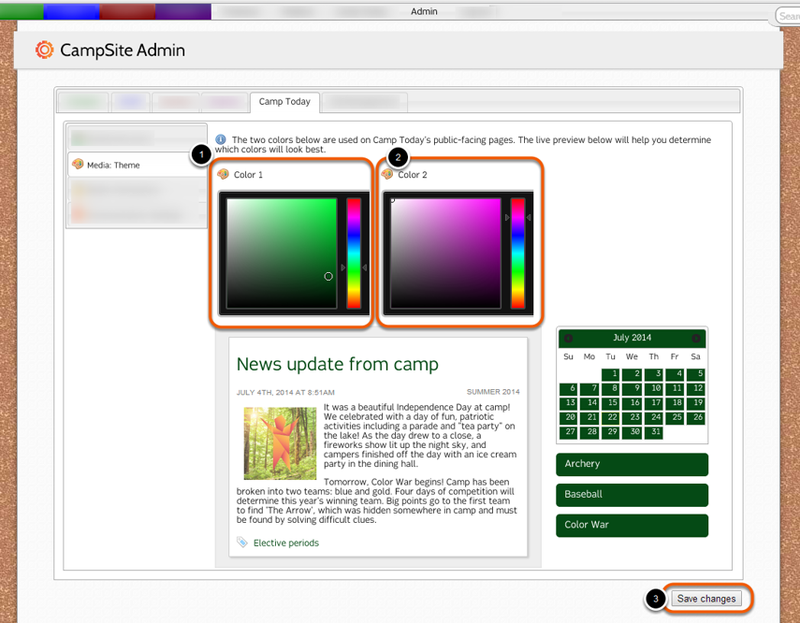 The Camp Today theme allows you to choose a custom color scheme for your Camp Today Media. The live preview will help you determine which colors will look best. The Theme can be customized by going to Admin > Camp Today > Media: Theme. Use the color picker to pick Color 1. Color 1 controls the header and tags on blog posts, as well as the calendar and tags that parents can use to search blog posts. Use the color picker to pick Color 2. Color 2 controls the text color on the calendar and list of tags.